Topps is putting out a set of cards in honor of a couple of English people getting married...I'll stick with these cards I received from England last week from John of The Pursuit of 80's(ness) blog. John sent me a bunch of random Royals and I'll highlight a few of the rookies and all-star rookies. 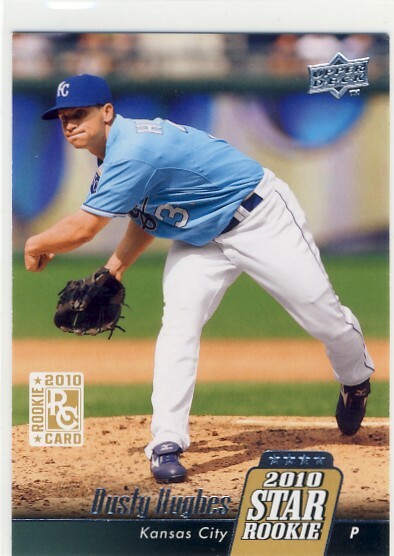 Dusty pitched in 57 games in relief for the Royals last season yet the Royals waived him in the off season. He was picked up by the Twins and has pitched in ten games for them so far this season. 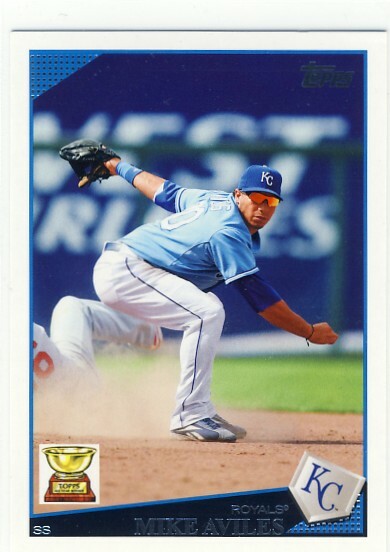 The 2009 Topps set uses those weird badly photo shopped All-Star Rookie cup. While the cup sometimes changes size and position, I haven't seen them use the cup image with the white background before or since. 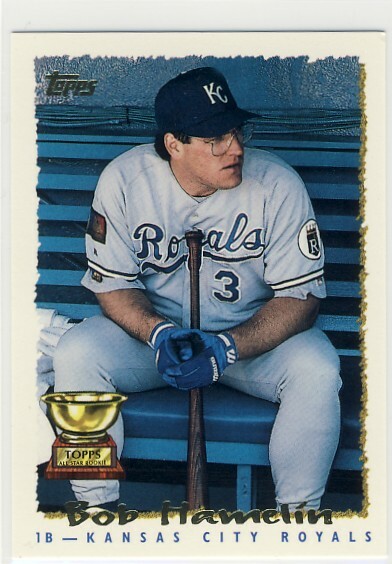 This card reminds me that I was meaning to do a Bob Hamelin retrospective...like Russell Martin, Bob never made a bad looking card and may very well prove to be one of the last great players with glasses...and for those of you with a short term memory, Bob also won the Rookie of the Year award in 1994. Thanks for the cards John and I'll get some Red Sox to you shortly!